If you want more income than your rental market can bare, upgrade your market. Can you see the progression away from price-sensitive tenants and towards travelers who mostly care about conveniences? 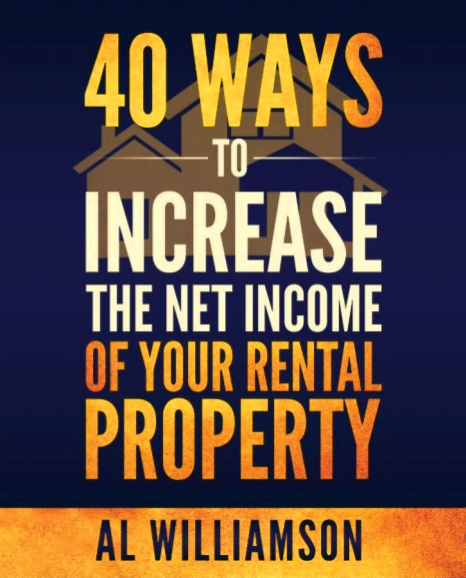 That’s the secret sauce for making your rental super profitable. 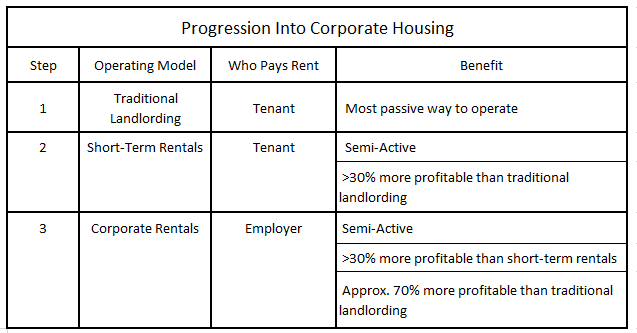 After writing 40 Ways, I realized that if you want to double your net income, then corporate housing is the path of least resistance. I’ve gone on to convert three of my units into corporate housing rentals. Market rent is $750/month for an unfurnished 1bd 1ba. The same unit, fully furnished, earns $1,640 per month. And, if you get your systems into place, you really don’t need to work that much harder. But how about you? Are you ready to move beyond basic landlording which is the least profitable way to hold a rental? Your mental barrier is something we need to address right now. Do you believe that if someone is currently doing something in your area then you’ll be able to do a version of it as well? Do you have faith to pursue your asset’s full potential even though the path isn’t crystal clear? If you answered “yes” to both of these questions then go to Step 2. 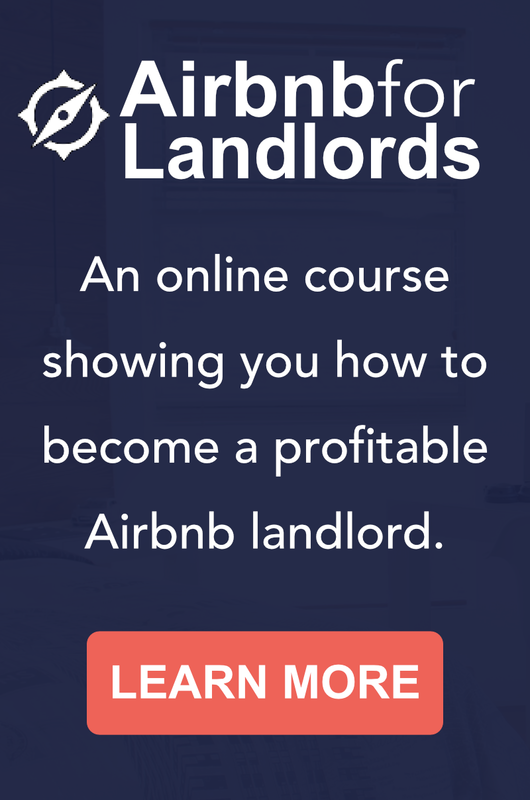 If you have an extended stay in your town then you can rest assured that a corporation has done a lot of market research and concluded that your market has a need for monthly rentals. Would you like to make the same type of money others around you are making? If you said “Heck Yeah!” then take Step 3. Could you offer a more custom housing solution? 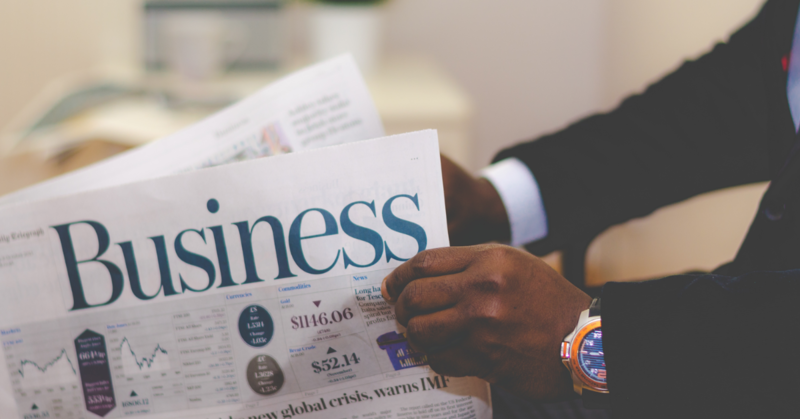 Do you have the ability to out hustle the competition? Would you be happy serving a community of travelers that’s too few in number for the hotels chains to care about? If you’ve said “Yes” to all these questions, then all you need to do is pivot and pursue a more profitable market. What are you waiting for? You are definitely capable of figuring out how to get into corporate housing on your own. You’ll eventually be very successful. However, if you want to move fast and avoid costly mistakes… then you might want some help. I’ll be happy to cheer you along or be your coach. Send me an email: al@leadinglandlord.com. Let’s kick around the idea of you getting started.